Paddlefest 2019 is right around the corner, and there is some serious money on the line! It’s not too late to sign up and cash in on the competition earning a custom trophy for your winning performance. Racers can save $15 on the entry fee if you sign up in advance. Pick up your participant’s packet at Blue Line Surf & Paddle (Sponsor of the races) in Jupiter on Friday, February 8th between 4 and 7pm. Race Day and all the festivities are Saturday, February 9th from 9 am to 3 pm. Music provided by a DJ will fill Harborside Place as the event opens with a yoga session by Breathe Salt Yoga in the Amphitheatre. There are six and two mile race competitions followed by a free kids SUP race. In addition to the races, there will be free guided kayak tours throughout the day hosted by Jet Ride on the water. There are plenty of land-based activities at this free family-friendly event. WIRK will be broadcasting live from Paddlefest. Special activities for the kids include: face painting, waterslides, arts & crafts, corn hole, touch tank and other games PLUS a free kids SUP race with medal and free kayak tours. 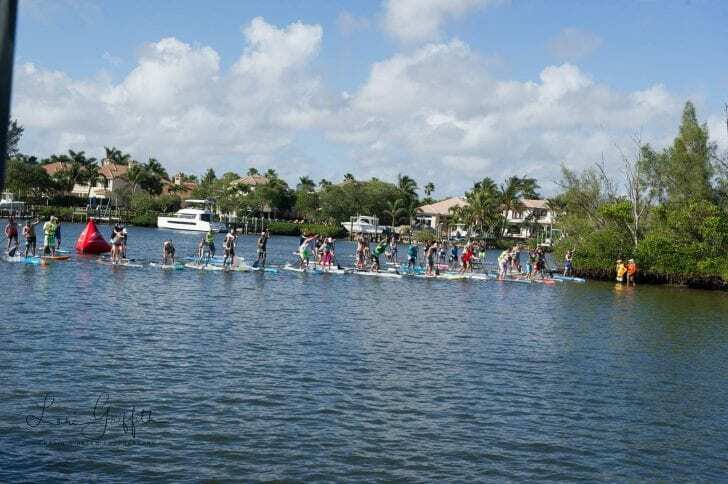 Paddlefest is hosted by the Marine Industries Association of Palm Beach County, Inc. (MIAPBC). They would like to thank the sponsors, exhibitors and participants. For more information visit palmbeachpaddlefest.com.